E45 is one of those enduring brands, if you know what I mean? It’s been around for so long that I’m pretty sure most people have at least heard of it, if not used it for one reason or another. They provide a wide range of products geared towards treating many common skin conditions such as psoriasis, eczema, and environmentally influenced issues such as sunburn or dry skin caused by cold weather. As we move into autumn/winter, it’s a good idea to really step up your moisturising game to avoid the irritation and discomfort our miserable British weather can bring to your skin. 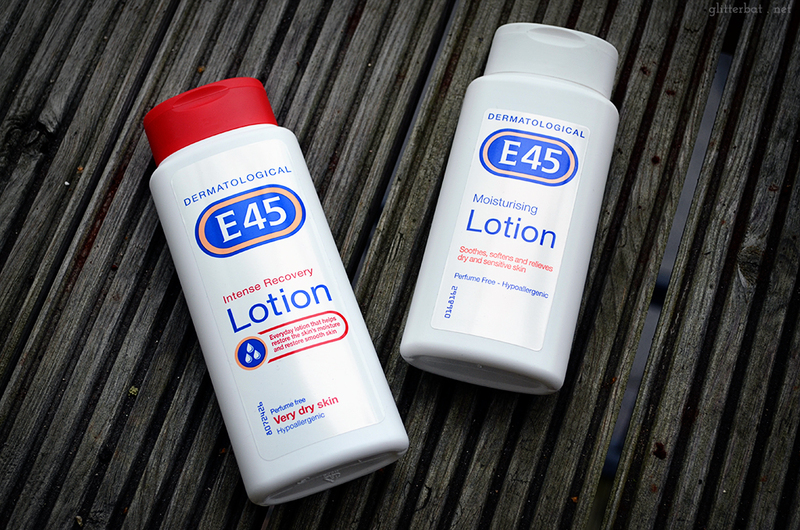 I first encountered E45 as a child, in the never ending battle against my eczema. Eczema symptoms are horrible, and I remember scratching myself raw and just generally being really upset with it all. My poor mum must have lost count of all the lotions and potions that the doctors would prescribe, which were often full of really harsh steroids and did horrible things to the skin long term. Heavy moisturisers were a godsend, alongside a bunch of natural therapies like oat soaks and essential oil concoctions. Though the plain packaging is nothing to write home about – white, plastic, clinical – the product inside is a powerful one. Perfume free and hypoallergenic, E45 products tend to be non-greasy and absorb into the skin quickly. Now I’m older I’m thankful that my eczema has, for the most part, cleared up almost entirely. I do still get the occasional stress related flare ups from time to time, but nowhere near as extreme as when I was little. Most recently I’ve used the standard E45 cream during the healing of my last tattoo (which, when I get a free minute and some spare cash, is getting expanded and oh lord will there be more tropical brightness on my arm!) For the first day or so I tend to use something heavier like Bepanthen nappy rash cream, but after that it’s E45 all the way, very gently applied! 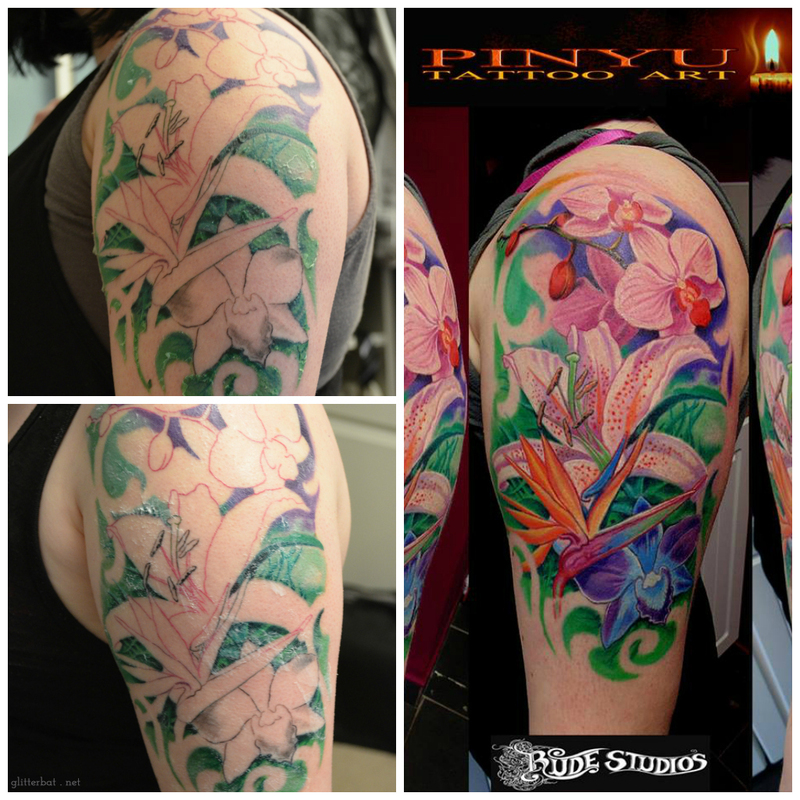 The collage shows my arm peeling (eww) and a picture taken after the final session, so everything except the orchids is totally healed there. The folks at E45 have been kind enough to sponsor this post with a giveaway. If you’d like to get your hands on one of two sets of E45 Moisturising Lotion and E45 Intense Recovery Lotion, then tell me in the comments what you love and hate about this colder autumn weather. You can unlock extra entries by following me on Twitter, Bloglovin’ and Instagram. Giveaway is open to UK residents only – good luck! 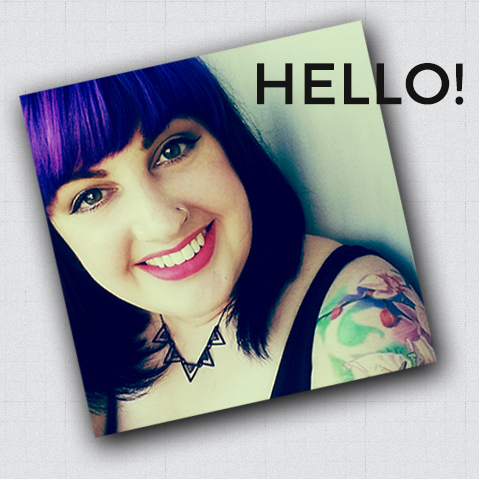 This is a post in association with E45, and contains a PR sample. For more information see my disclaimer. I love going for walks in the woods around us, gathering chestnuts and conkers for my granddaughter, but I hate the dark cold evenings and mornings. I love the cooler nights for a better nights sleep, and hate all the leaves! As an eczema sufferer as a child I used to swear by this stuff! Haven’t used it in a while but feel like the colder months will require some extra help in the moisture department! I love the colder weather because I can get out all my comfy jumpers, scarves and boots. I don’t think there’s much I hate about it haha! I love the snow. But I dislike it when it becomes really icy out. I love the ever changing colours outside and the roaring fire inside. I hate getting out of bed in the morning while it is still dark! I love winter fashions, hate it when it’s really, really cold!